In the wake of the 2016 election, as concerns about populism gained greater traction, scholars began to take Mounk’s ideas more seriously. 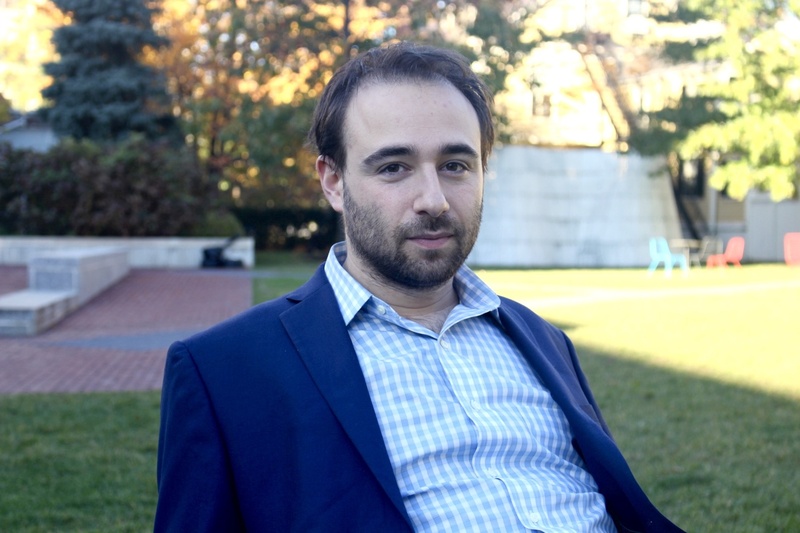 UPDATED: May 11, 2018 at 2:13 a.m.
Yascha Mounk, one of Harvard’s rising stars, predicted the rise of populism well before the 2016 election. Mounk, a political theory lecturer in the Government department who pursued his Ph.D. in Government at the Graduate School of Arts and Sciences, went from a heretic to an academic celebrity virtually overnight. During his time in graduate school, scholars were minimally worried about the stability of democracy in wealthy and established nations. “The assumption about democracy was that it was only unstable in poor countries,” Mounk said. In 2013, The New York Times rejected a piece he wrote about the threats to Western democracies. They said it was well-written, but not a serious enough topic, according to Mounk. Mounk was born in Munich in 1982 after his family fled Poland just decades earlier. As a child, he moved frequently—seven times before attending the University of Cambridge as an undergraduate—due to his mother’s job as an orchestra conductor. “For various reasons I never really felt at home in Germany. I never loved living there that much, so I always had the idea of going to study abroad,” Mounk said. Mounk initially planned to study history at Cambridge, but, throughout his studies, he was drawn to timeless political questions. Mounk’s first book, “Stranger in My Own Country,” is an introspective account of the treatment of Jews in modern Germany. Growing up in a country with a recent memory of dictatorship informed Mounk’s perspective regarding the fragility of democracy. Mounk said he looked up to German Chancellor Willy Brandt as he processed his own experiences of alienation as a German Jew. “Brandt fought against the Nazi Regime and came back to Germany to help the country face up to the parts of its past that Germany was still trying to forget in the '50s and '60s,” Mounk said. Haunted by the consequences of authoritarianism in his home country, Mounk’s work casts a critical eye on the security of Western democracies. In recent years, Mounk’s focus has broadened. His interest in the threats to liberal democracy date back to his time as a graduate student at Harvard, when he approached Professor of Comparative Politics Steven Levitsky with his theories about how Western democracy was in crisis. Unlike many scholars, Mounk saw warning signs long before the election of Donald Trump. When Mounk approached Levitsky as a graduate student, Levitsky did not believe that democracy was in crisis in the West. Since then, however, Levitsky’s perspective has changed. His 2018 book “How Democracies Die,” a New York Times bestseller co-written by Professor of Government Daniel Ziblatt, chronicles the stages by which modern democracies fail. Levitsky and Ziblatt’s “How Democracies Die” and Mounk’s “The People vs. Democracy” share many similarities in theory, according to Levitsky. The goal of both books is to forefront the threats to democracy in political discourse. Kennedy School Professor of Political Leadership and Democratic Values Jane J. Mansbridge said she agrees with much of Mounk’s recent book, but would focus more on “the causes of polarization in the United States.” She cited increased homogeneity of political parties after the Civil Rights Act and the structure of inequality as examples. Over the years, Mounk has collaborated with academics globally. Roberto S. Foa, a lecturer in political science at the University of Melbourne, co-wrote an article entitled “The Signs of Deconsolidation” with Mounk, which was the precursor to “The People vs. Democracy.” Foa said Mounk is an impressive and hard-hitting scholar. “Yascha is an intellectual powerhouse—full of energy, enthusiasm and ideas. I rarely have met anyone with such a pure passion for debate,” Foa said. Even in his free time, Mounk said he cherishes discussing lofty questions and ideas over dinner and drinks with friends. “The thing I most enjoy in life is good conversation,” Mounk said. In addition to writing, Mounk said he loves teaching. “What I love most about it is helping incredibly smart kids develop their ideas and develop their voice,” Mounk said. Sharon Yang ’18, who took expository writing with Mounk and later two of his higher level Government classes, said she appreciated his focus. Samuel H. “Sammy” Koppelman ’18 a former student of Mounk’s, became his research assistant for “The People vs. Democracy” book project. Koppelman, a formal Crimson editorial editor, said Mounk had a great influence on his growth as a government student. “The environment that Yascha fosters in his classes is one of openness, warmth, and intellectual curiosity,” Koppelman said. Koppelman said Mounk is committed to his students. Despite the pessimistic nature of his theories, Mounk said he is determined to fight for democracies as we know them. As an academic, Mounk is interested not only in describing the current state of affairs, but also in offering prescriptions for action. “I don’t want to just describe the world. I also want to give people some tools for thinking about what they can do to defend our democracies,” Mounk said. His latest projects range from articulating a contemporary system of political values to informing the transition to a multi-ethnic society. One way in which Mounk hopes to effect change is through reaching a popular audience. Mounk hosts the podcast series, “The Good Fight,” on which he invites prominent scholars to discuss strategies to combat authoritarian populism. Foa said he was optimistic that Mounk could accomplish any goal. “As long as I've known him he has only ever gone from strength to strength, and I would expect that to continue,” Foa said. Koppelman said he felt impassioned to protect democracies after working with Mounk. “I can’t help but agree with his vision and do everything I can for the rest of my life to prove him wrong,” Koppelman said. Regardless of Mounk’s future successes, however, his advocates say he has already made an impact on thought surrounding Western democracies. “Political theorists like Yascha have an important role to play in helping make sense of the world in which we live," Sandel said. A previous version of this article incorrectly indicated Yascha Mounk was a graduate student at Harvard Kennedy School. In fact, Mounk earned his Ph.D. from the Government department of the Graduate School of Arts and Sciences. It was hardly a surprise to students of American foreign policy that a statement condemning German "acts of wanton lawlessness"
​Panelists argued that money has a skewed role in the American political process at an event last Friday evening hosted by Democracy Matters, a national student organization that advocates for campaign finance reform. “We have proven that Islam and Democracy are compatible. Secularists and Islamists can work together,” the former president of Tunisia said. Many young Koreans today refer to their country as “a living hell,” but shy away from political processes. We tell ourselves that our vote doesn’t make a difference. But we must refuse to enter into this trap of self-defeatism.